It’s okay if sobriety is the last thing on your mind this St Patrick’s Day… that’s sort of the point, right? 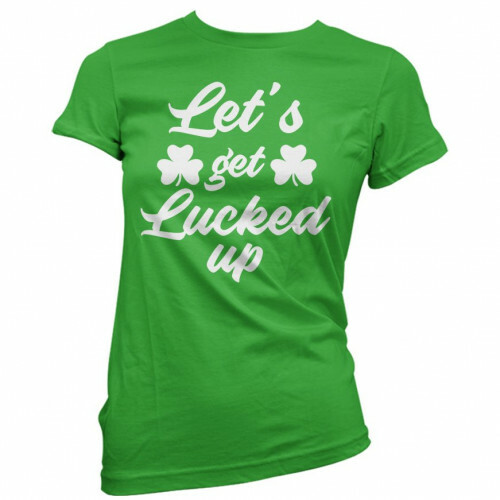 The Let’s Get Lucked Up women's t-shirt from Guerrilla Tees is an excellent selection for the gal who's ready to let the world know what she has in store, and is sure to keep you looking stylish while ringing in the Irish high holiday. It comes in eye-catching Emerald Green with clean white lettering, making it perfect for wearing to the bars, at the big parade or while knocking the drinks back at home with friends and cohorts. 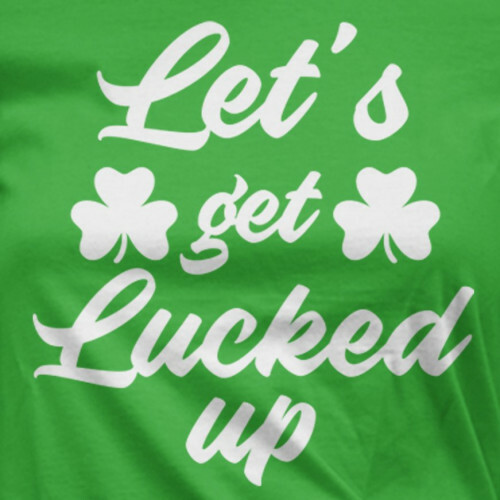 Check Out Our Full Collection of Funny Irish Drinking Shirts! At Guerrilla Tees we love our St Patrick's Day graphic tees just as much as the next warm-blooded American, and we’re always coming up with new designs. Come back often to see what’s new!